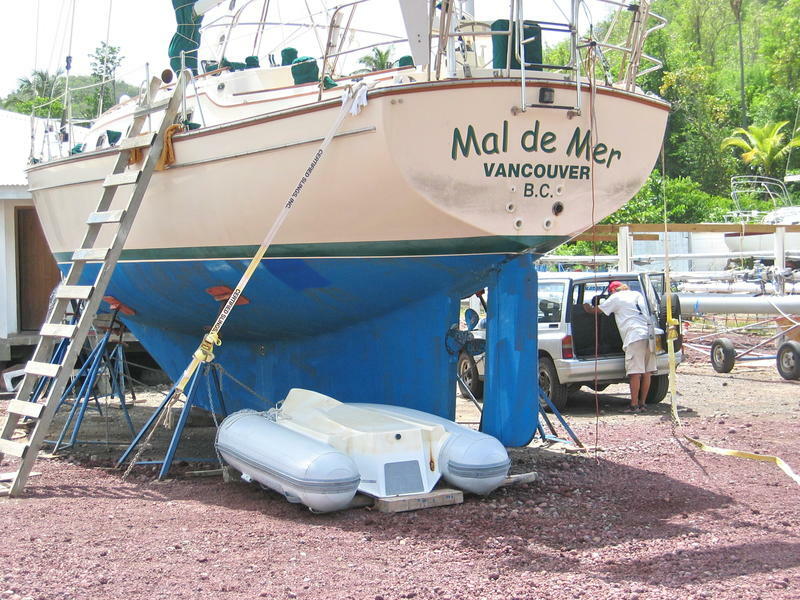 “Mal de Mer” is hull #99 of the very popular Island Packet 40 model. 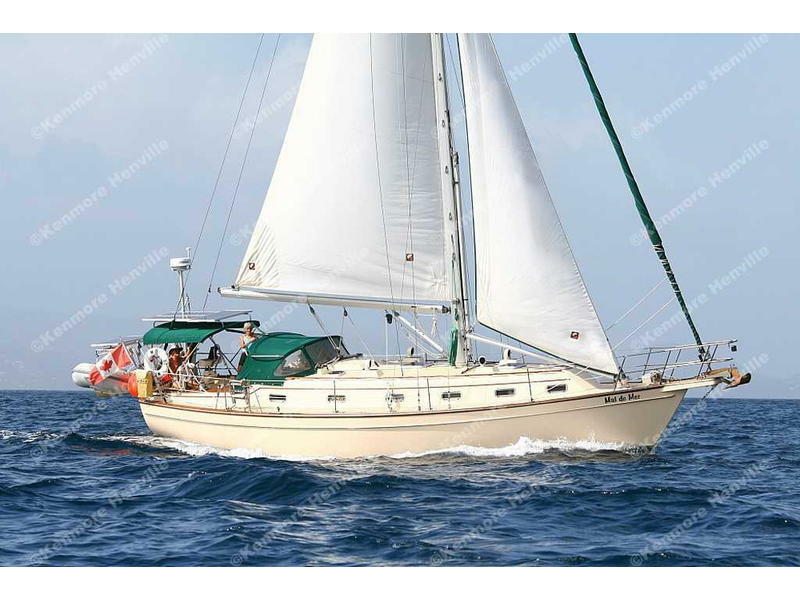 She has been hauled every year during the off-season and professionally maintained and the latest survey rated her in Above Average Condition. 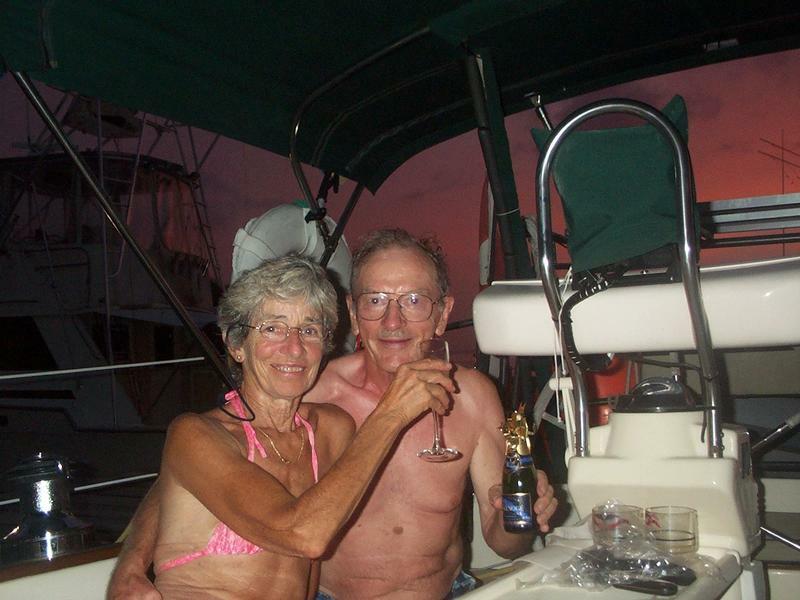 Since buying her new in 1998 we cruised the Bahamas and Florida for 6 years before sailing her to the Caribbean. We have enjoyed many happy days aboard Mal de Mer but because of our age, 79, we are facing the dreadful day when we have to give her up. 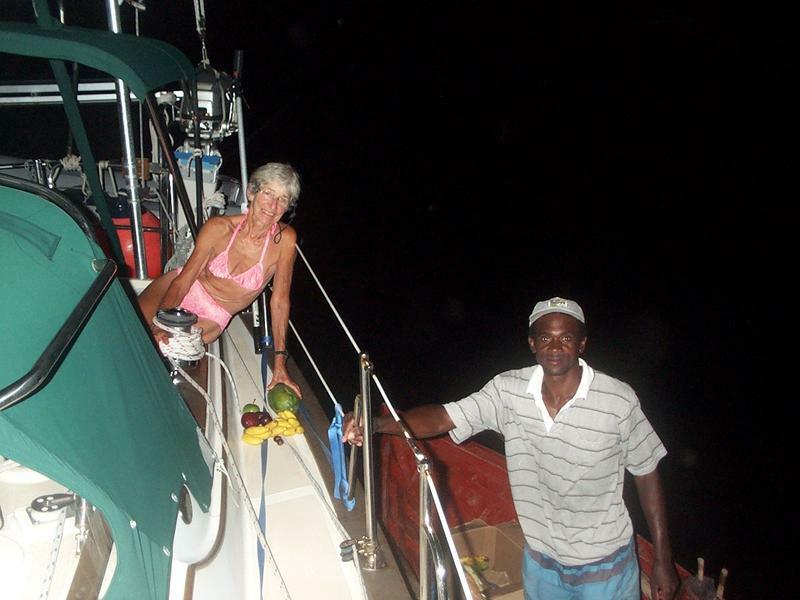 We are now sailing her back for the next 5 months from Grenada, which has been our base for the past 7 years, to Palmetto, Florida. 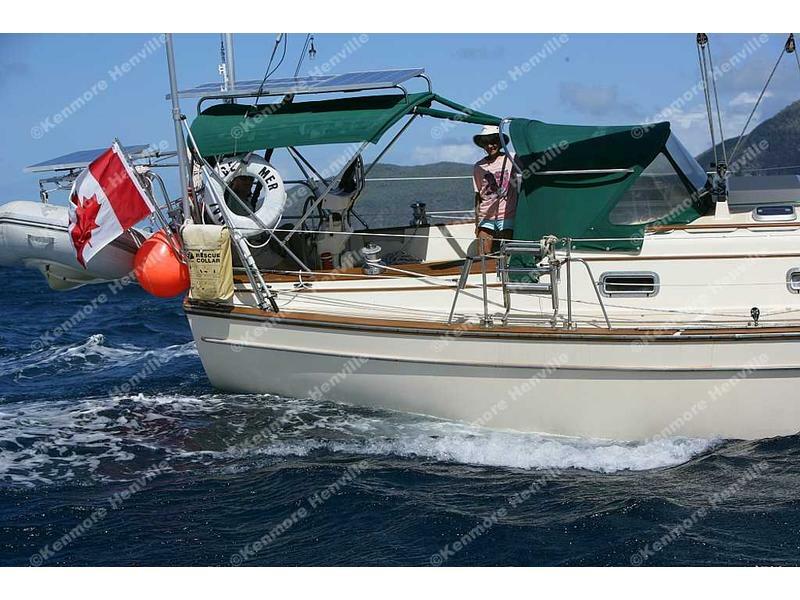 “Mal de Mer” is a safe and sea-kindly boat which is easy for two people to handle, while providing good sailing and spacious accommodations. 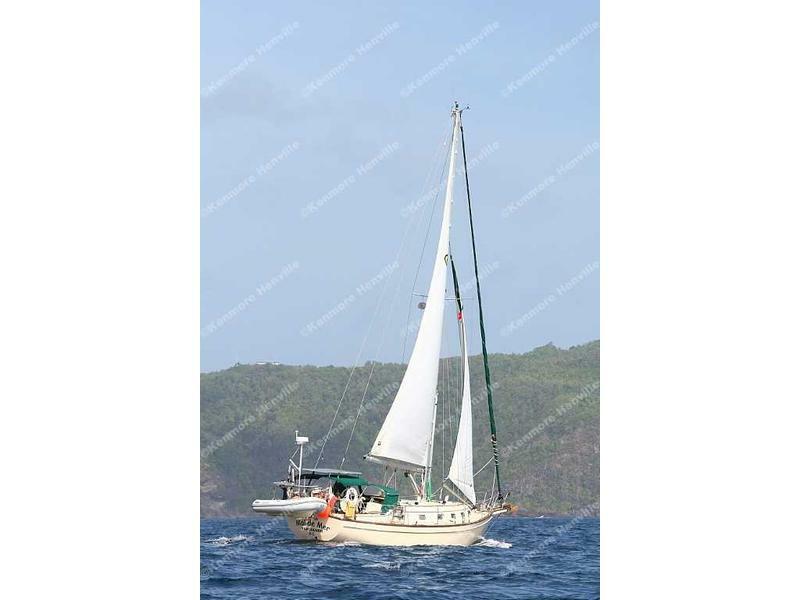 She has in-mast furling, a rigid boom vang and a Dutchman boom brake. 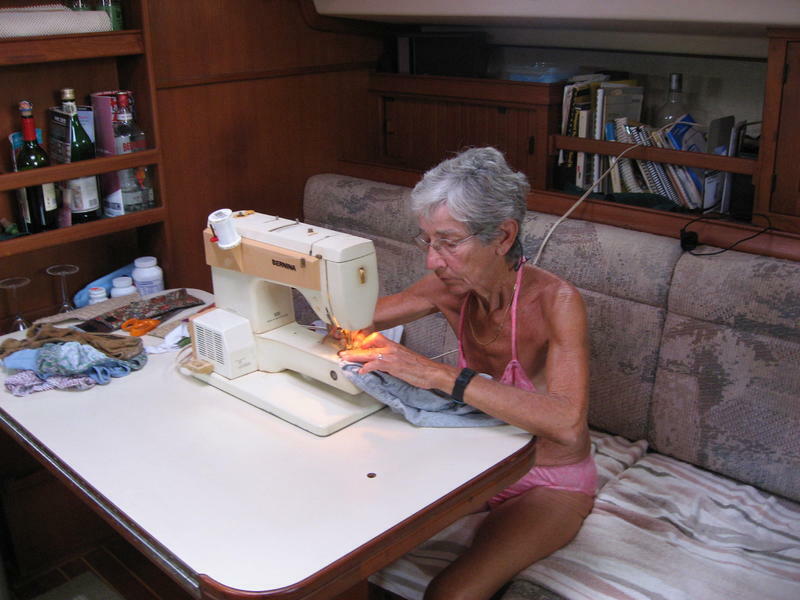 She has 2 staterooms and 2 heads which provide comfortable accommodations for 4 people or 7 at a pinch. The owner’s suite with private head & shower is forward. It has a queen sized pullman berth, excellent ventilation and ample storage with bins and drawers underneath the berth and bureau drawers and a cedar-lined hanging locker to port. 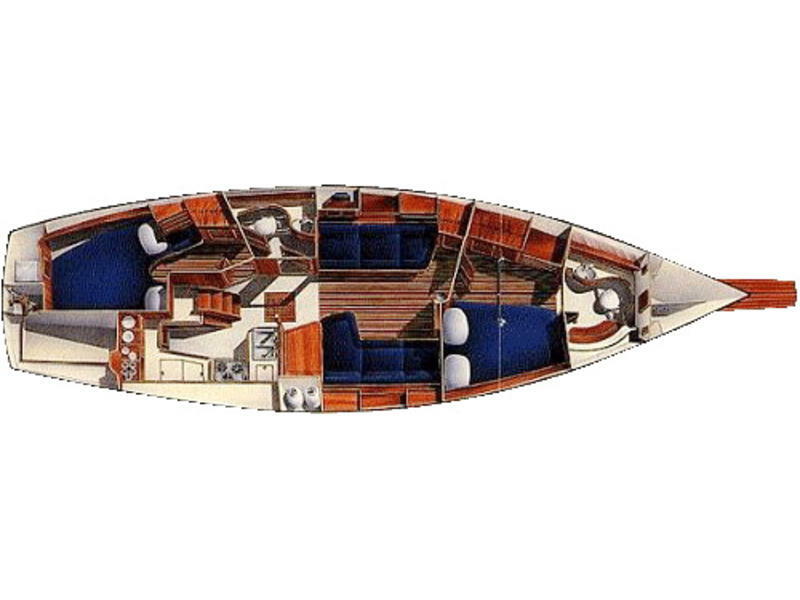 The spacious main salon has a bulkhead mounted fold-up table and an L-shaped settee which pulls out to make a double berth to starboard and a settee and cedar-lined hanging locker to port. 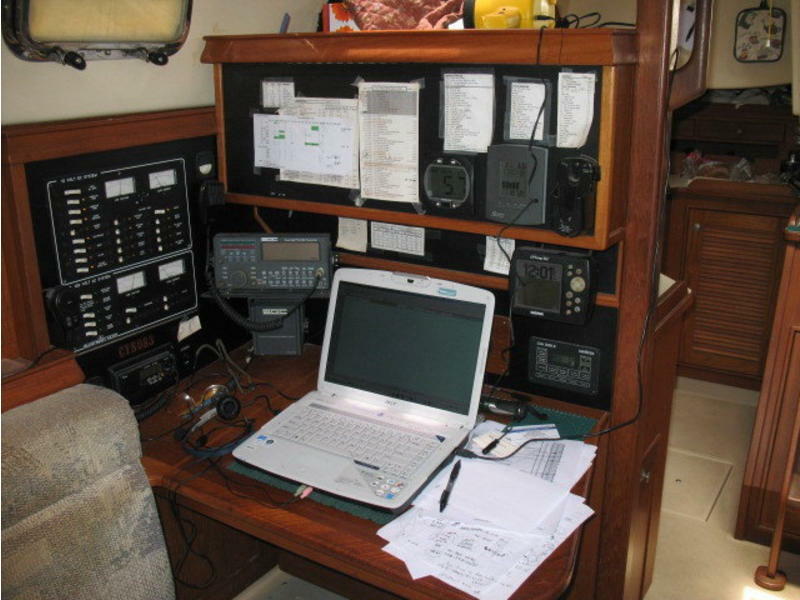 The stock navigation desk and instrument panel is separated from the galley by a custom unit for more instruments and galley shelves. The large galley has an all s/s 3-burner propane stove with oven, double s/s sinks, refrigerator/freezer, microwave oven and ample storage. 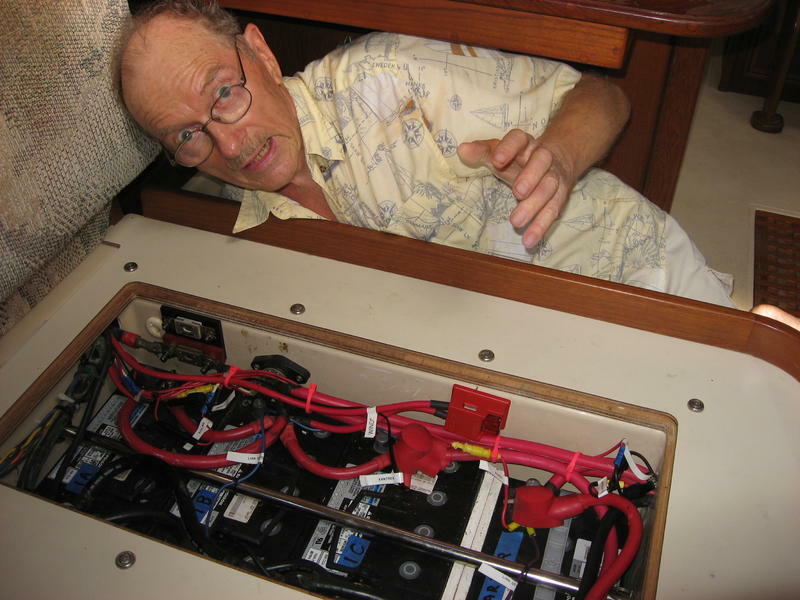 The aft cabin features an extra large berth, storage bins, drawers and cedar-lined hanging locker. The aft head is accessible from both the salon and aft cabin. 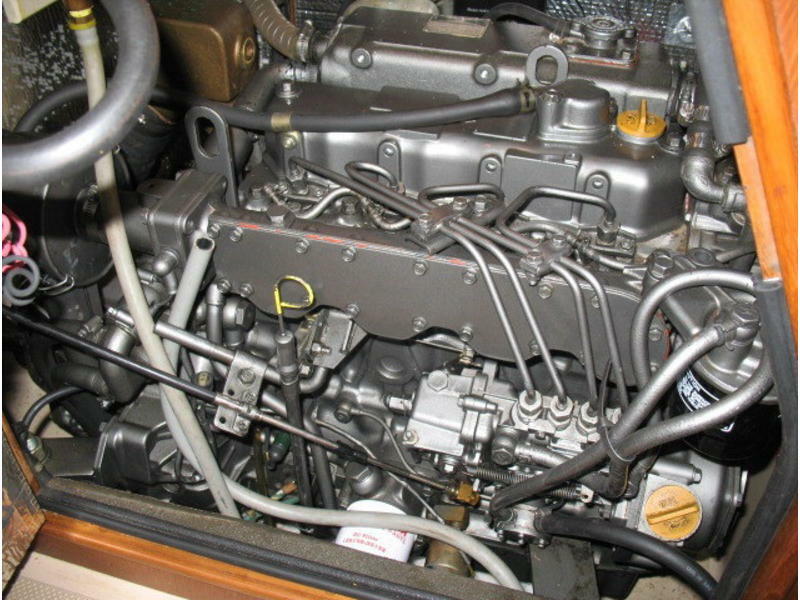 The engine is under the companionway and is easily accessible from all four sides. The cockpit is large and comfortable with cockpit seats that are easily long enough for lounging or sleeping. Stove:Equator s/s 3 burner gimbaled. 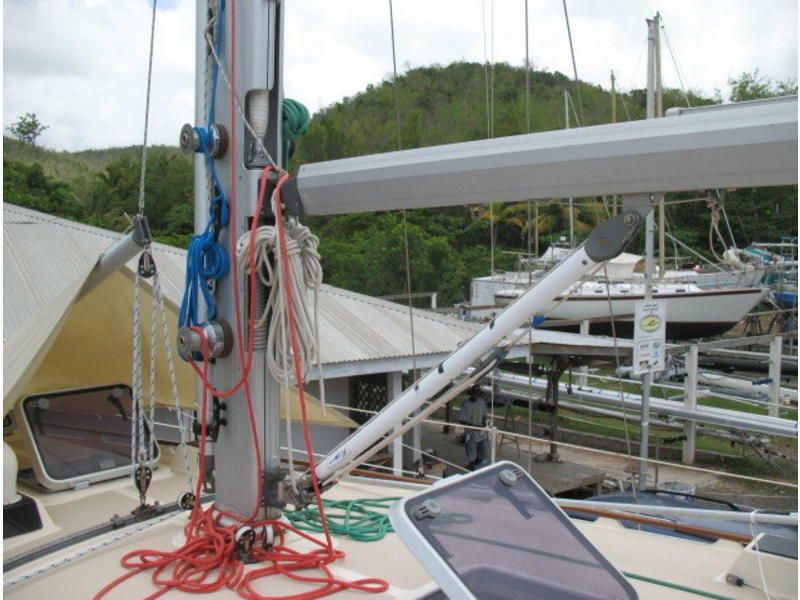 Grey water pumps directly overboard and black water can be pumped overboard or to holding tank. Rudder:Mounted on aft edge of skeg. Rudder Shaft:s/s with conventional stuffing box. RESCUE COLLAR:1 x High Seas.